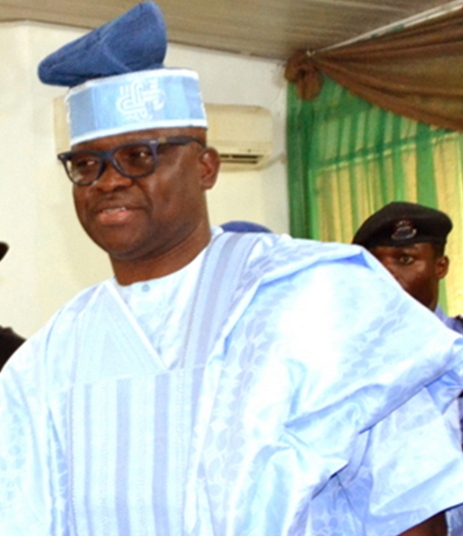 Governor Ayo Fayose of Ekiti state on Thursday cancelled all forms of fanfare as well as stadium parades usually held on Independence Day celebrations. NAN reports that Fayose in a broadcast said there was nothing to celebrate in view of the economic situation in the country. “I do not think it is proper to engage in jamboree when it is almost becoming increasingly difficult to pay workers salaries. “The current situation demands sober reflection from all and we cannot pretend about this,” Fayose said. He ordered residents to stay at home and enjoy the celebration in low-key. NAN reports that as a result of the governor’s order, the usual activities associated with the celebration were absent in most parts of Ado-Ekiti on Thursday. However, there were few places where pockets of activities were organised by individuals or corporate bodies. I love that bcos i dont see anything to celebrate. WE NEED PEOPLE LIKE THIS MAN IN NIGERIA!!! WHAT ARE THEY CELEBRATING ? The only mad man we have as governor of a state! U contributed in the problem of this country and shallow minded nigerian will always come for ur defence as long as u are speaking against Buhari. In a sane society u are not even qualify to contest let alone governing a state bicus u are a thief. the rich getting richer.the poor getting poorer. crime increasing by the day,BOKO Haram killing innocent ppl,workers salary not paid some for 8months. I LOVE THIS MAN, HE SEE WHAT NIGERIANS ARE GOING THROUGH. Self independent cause for big celebration. It is only a fool can not celebrate his freedom. Wise people cherish their freedom.